The business-to-business (B2B) marketing world is all abuzz about account-based marketing (ABM), which involves a targeted effort to focus marketing campaigns and budgets on a select set of pre determined accounts. 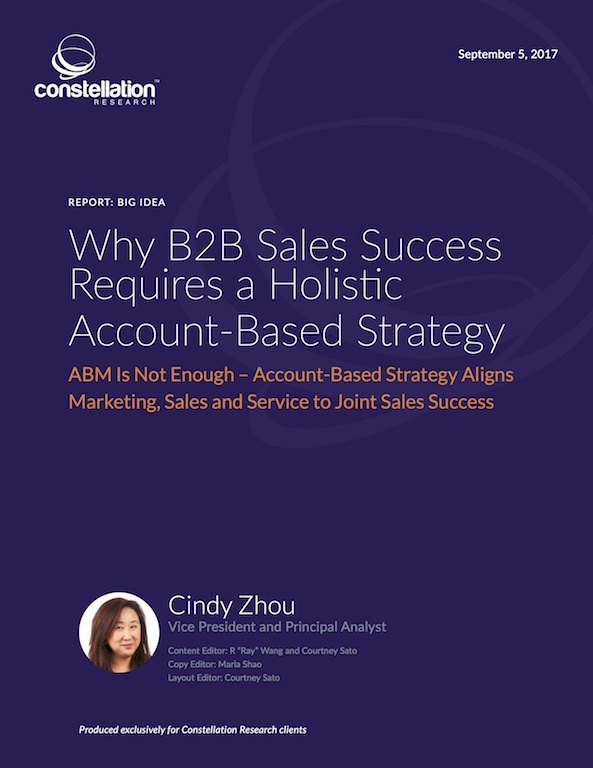 However, Constellation’s research shows that an integrated account-based strategy (ABS) inclusive of marketing, sales and service teams produces better sales results than account-based marketing or targeted account selling on their own. ABS provides a framework for marketing, sales and service teams to work cohesively on a common approach to set joint objectives, identify target accounts and organize those accounts so that cross-channel campaigns can be launched and actionable insights can be used to improve new campaigns for greater sales success.